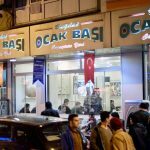 Hopping off the train and venturing downtown toward the old part of the city, a stone’s throw from a section of Mersin’s expansive Mediterranean coastline, we quickly noticed just how ubiquitous tantuni is in its city of origin. 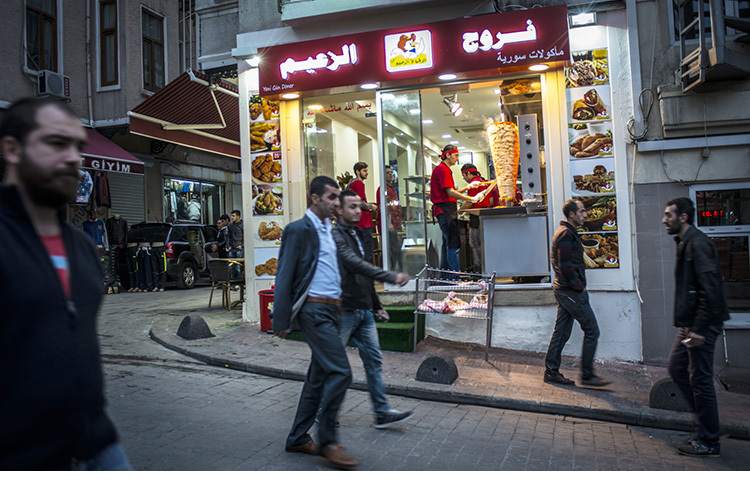 It dominates döner, pide, köfte and other Turkish fast-food staples. Even establishments that specialize in these other quick eats feel obliged to include tantuni on the menu. 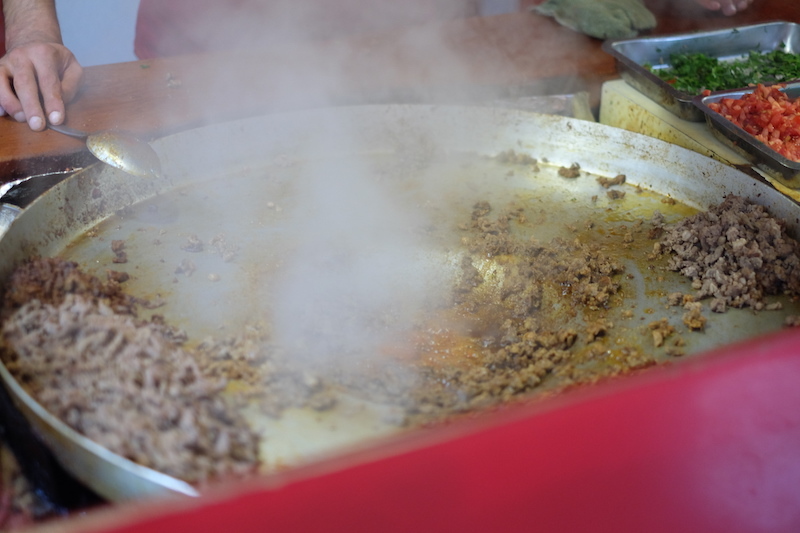 Eating tantuni in Mersin is like eating pizza in New York. Faced with an intimidating number of choices and less than 48 hours in the city, we did our research and came up with what we might call Mersin’s tantuni trifecta. First stop was Abidin’s in an upper-middle class part of the city where an ill-fated route caused us to hastily cross highways and dodge high-speed traffic. 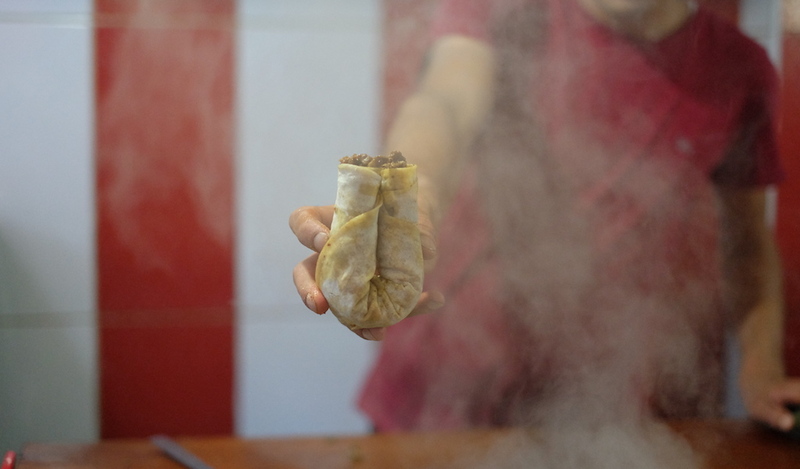 It was our first tantuni in Mersin, and we were ready to do whatever it took to get there. Abidin’s is famous for bringing plate after plate of salad and other fresh nibbles that create a colorful, impressive spread without crowding the tantuni’s spotlight. They are also renowned for friendly, attentive service that is thorough without being overbearing. Our dürüm was perfectly spiced and we couldn’t resist going for seconds. We didn’t eat again that night, and frankly weren’t very hungry for breakfast the next day. Four dürüm, the numerous plates of meze and two açık ayran set us back a laughable 45 TL ($12). 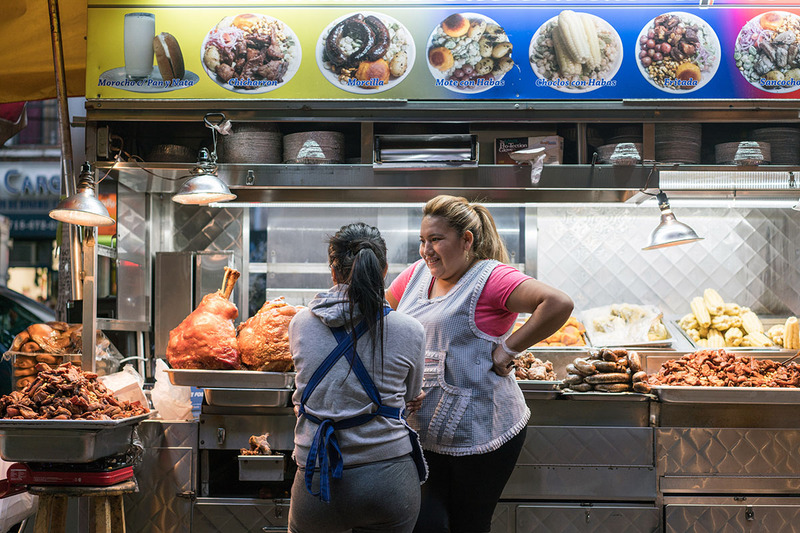 We quickly noticed just how ubiquitous tantuni is in its city of origin. 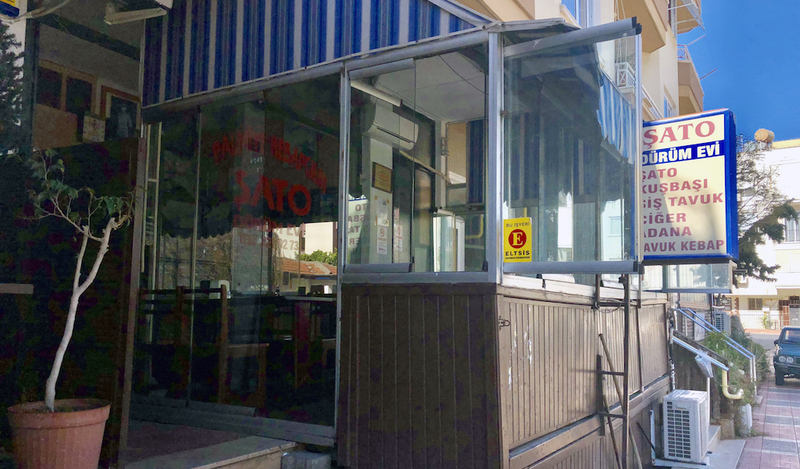 After a strategically light hotel breakfast, lunch the next day took us to Memoş, a no-frills joint on the fringes of where a ritzy coastal neighborhood transitions into a modest, working-class neighborhood inhabited by large numbers of Syrian refugees. A Mersin mainstay since 1964, Memoş serves their dürüm alongside a more modest affair of sides: a single plate with limes, pickled light-green peppers and cruelly tempting tongue-scorchers with a darker green hue. The voluptuous, delightfully tangy limes are nonexistent in Istanbul, and a fresh squeeze from one collides harmoniously with the spiced beef. 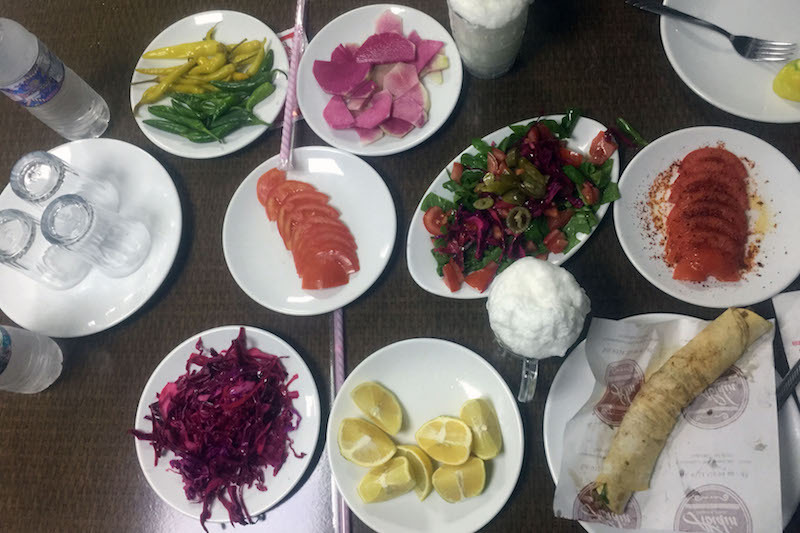 For dinner, we enjoyed a meal of mezes inspired by the cuisine of nearby Hatay alongside a few glasses of rakı near the sea, though we couldn’t help but think we had squandered valuable tantuni time. 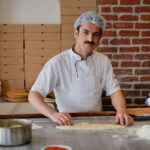 Rounding out the trifecta was Göksel, a few minutes north of a domineering skyscraper that held the title of Turkey’s tallest building between the late 1980s and 2000, when it was unseated by just one of the now countless high-rise buildings that dot Istanbul’s skyline. 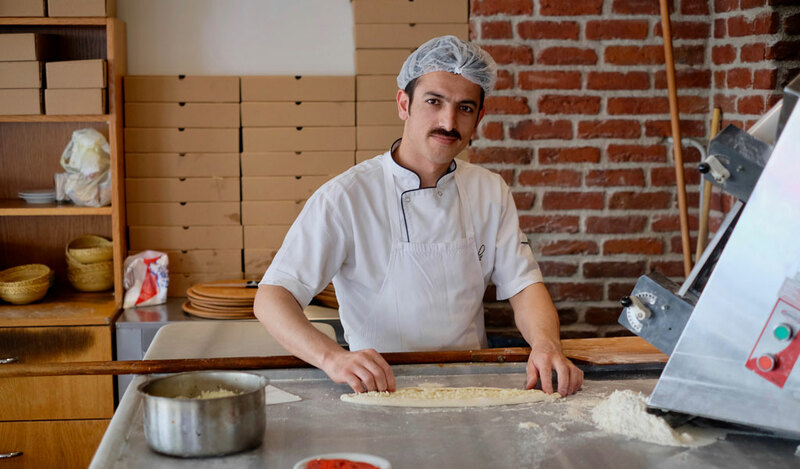 Göksel has been around since 1977 and makes each portion to order. 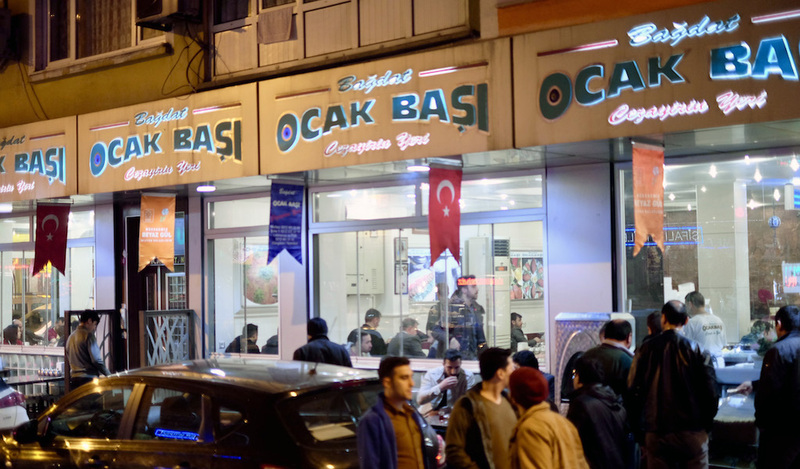 Ours were fantastic, and we were excited to learn that a branch recently opened in Istanbul’s Beşiktaş neighborhood. 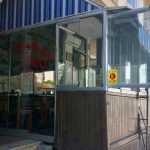 (Memoş currently operates two branches on the city’s Anatolian side). 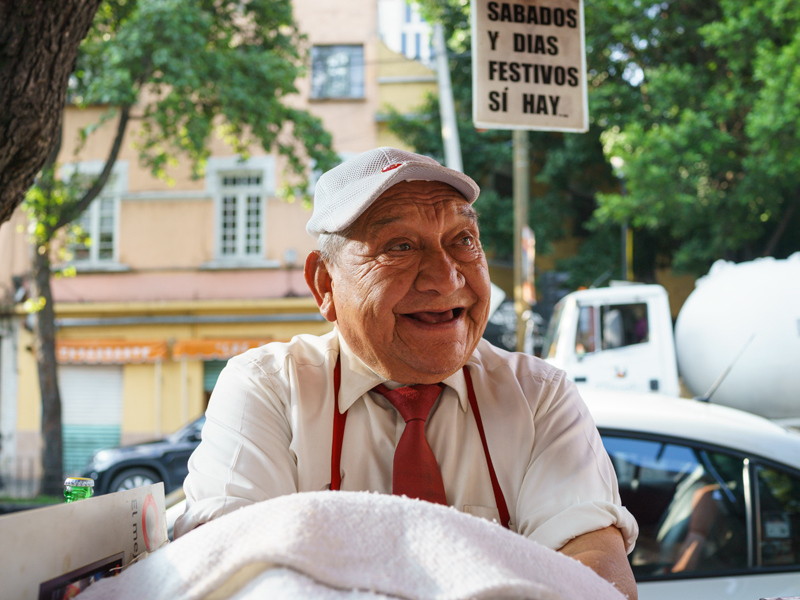 Though we may have become acquainted with tantuni in Istanbul, and have enjoyed it as far away as Berlin, we had to make a pilgrimage to its ancestral home to fully appreciate how a regional hub with the country’s largest seaport is best known for a simple street food classic. Make no mistake, make it Mersin.